The vessel, a bulk carrier, arrived in Singapore and began to bunker 900 tons of high sulphur fuel oil. 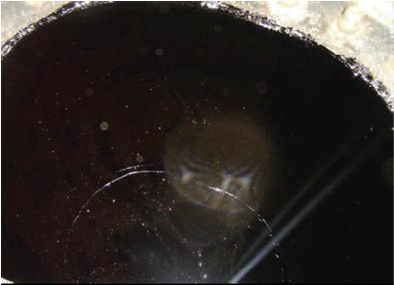 The crew was alerted to the fact that something was wrong by the rattling of the float valves situated inside the fuel tank vent head bonnets. It was found that air was escaping from the vents at a greater rate than would normally be expected. In addition, the bunker supply hose lying on deck was seen to be jerking violently. Further, when tank soundings were subsequently taken, the sounding tape and brass bob were found to be covered in bubbles of fuel oil. All of the foregoing symptoms indicated that air had been introduced into the fuel oil resulting in the development of froth and foam on the surface – the so-called “Cappuccino effect”. This malpractice increases the volume of the fuel and results in artificially high volumetric flow meter readings. When post bunkering soundings are taken it also gives the impression that the amount of fuel in the bunker tank is more than it actually is. As the air bubbles gradually dissipate, the fuel oil soundings decrease. If a lot of bunkers has been stemmed and subjected to the “cappuccino effect”, the consequential shortfall may be significant. The vessel in question stopped bunkering immediately and tank soundings were taken. Sometime later the tanks were sounded again when it was found that the level had dropped by 15 cms. 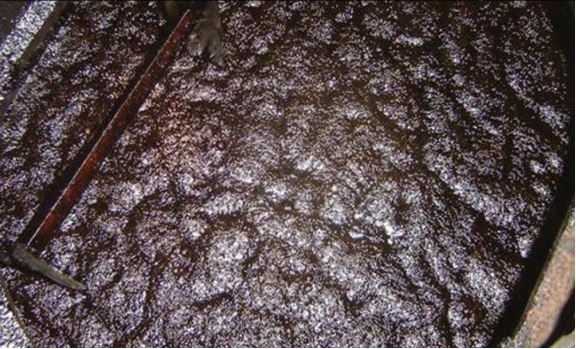 A visual inspection of the contents of the tanks revealed clear evidence of froth and foam on the surface of the fuel. Upon completion of bunkering, the difference between the vessel’s figures and those of the bunker barge amounted to 46 tons. Although this resulted in a heated dispute, the Barge Master eventually accepted the vessel’s figures and signed the bunker receipt. What Causes the “Cappuccino Effect”? The bunker barge may inject compressed air into its tanks prior to joint soundings being taken to increase the apparent volume of the fuel oil before it is transferred. Compressed air may be injected into the fuel oil during the transfer, either in the vicinity of the discharge pump or into the tank or into the discharge line. This may be by using the compressed air equipment designed to blow through the pipelines after discharge, or via a separate system. The stripping of bunker tanks using a positive displacement pump means that air will be drawn into the fuel oil when pumped. Consequently, excessive stripping by the bunker barge may also result in the “cappuccino effect”. Look for foam and/or frothing on the surface of the fuel oil on the barge prior to bunkering, and on the vessel, while bunkering is taking place and on completion. While taking soundings on the bunker barge or on the vessel, check for bubbles on the sounding tape or brass bob. If possible, check the bunker barge supply pump and supply pipework prior to pumping and look for any suspect connections, remembering that an air injection line may be quite small. Ask the bunker barge crew for details of how they carry out tank stripping and line blowing (where employed) and inspect the line blowing arrangements before bunkering commences. Once bunkering has commenced, open the manifold sampling point at regular intervals placing a clean glass receptacle underneath. Check the samples for frothing or an excessive amount of air bubbles. Unusual gurgling noises from the supply line or at the manifold may also indicate the presence of air. Variations in line pressure at the manifold may be an indication that air has been introduced into the line. Monitor the supply hose for unusual movement. When a large quantity of compressed air is passed through a hose containing fuel oil, the hose may tend to jolt or shudder. Listen for unusual noises from the fuel tank vent head; ball or float valves may vibrate or rattle if excessive air is present. Also, check whether the amount of air being vented from the fuel tanks appears to be greater than normal. Check the density of the fuel oil received. A lower density than expected (taking account of any temperature change) may indicate the presence of air. If it is suspected that air may have been introduced into the fuel oil, board the bunker barge and ask to see the line blowing arrangements and the air compressor. If these have recently been in use, the compressor and its connections will be warm, while the compressed air delivery line will be cold. Empty compressed air bottles may also provide an indication that the fuel oil has been injected with air. The Chief Engineer should board the barge prior to and on completion of bunkering to check the tank quantities together with the Barge Master. All tanks should be sounded including slop tanks and any compartments that may contain fuel intended for other vessels. The sounding records should be signed by both the Chief Engineer and the Barge Master. The temperature of the fuel oil should be measured before the transfer takes place so that the fuel oil density can be calculated accurately. The draughts of the bunker barge should be taken prior to commencing bunkering and on completion together with the Barge Master in order to compare the change in displacement with the quantity of fuel oil delivered. If all the product on board the bunker barge is to be transferred to the vessel, any attempt to introduce air into the fuel oil is likely to have taken place already as doing so during bunkering will make it appear that the vessel has been over-supplied. Vessels making brief bunker calls or which are supplied shortly before departure may be more at risk than others given that Masters may be under pressure to sail on completion and may be less inclined to become embroiled in a bunker dispute. If it is thought that compressed air may be present in the fuel oil, no reliance should be placed in volumetric or positive displacement flow meters (ie the equipment most commonly found on vessels) as they may be fooled into producing artificially high readings. Mass flow rate meters, such as versions of the Coriolis meter, will produce more accurate readings, but such devices are not generally fitted to vessels at present. 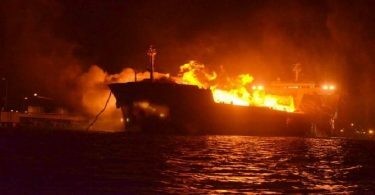 If the air in the fuel oil is found or suspected, the vessel should endeavor to wait for the air to escape after bunkering has been completed. The length of time required will depend on the viscosity and temperature of the fuel oil, as well as the size of the entrapped bubbles. The process will be quicker in tropical waters, but very small air bubbles in high viscosity fuels in cold climates may take up to two days to dissipate before accurate soundings can be taken. The Chief Engineer should ask the Barge Master to advise when tank stripping will be carried out. Tank stripping should be kept to a minimum and the Chief Engineer should record how long it takes to strip the barge tanks. Line blowing by the barge should only be permitted on completion of bunkering. If the Chief Engineer believes that the vessel has been supplied with fuel into which air has been introduced, samples should be taken from the affected tanks and examined in a clean glass receptacle for the presence of air bubbles. The density of the samples should also be checked. If bubbles are present and the density (allowing for any temperature change) is lower than the figure declared on the Bunker Delivery Note, these may be indications of the “cappuccino effect”. Detailed records of times, soundings, quantities, temperatures, densities and other key information should be maintained in case they are needed in the event of a dispute. Where safe and practicable, photographic and video evidence should also be taken for the same reason. Do not sign the bunker receipt as presented. Amend the quantity shown on the bunker receipt to reflect the vessel’s own figures. Inform all interested parties of the outcome once the second set of soundings have been taken (eg bunker suppliers, owners, charterers, P&I correspondent, port authorities, local agents). If the bunker receipt was signed before the discrepancy was recognized, inform the supplier and all interested parties immediately as some bunker contracts provide for shortages to be notified within 24 or 48 hours. Send all relevant documentation to the owner and, where applicable, time charterers. Although bunker disputes are not always easy to resolve, the barge may have gambled on the vessel not challenging the discrepancy due to crew fatigue, the possibility of delay, commercial pressures and the prospect of the vessel being placed off-hire. In such a situation the likelihood of success may increase the longer the vessel is prepared to wait, particularly if such action is taken with the shipowner’s full support. It should also be remembered that if the vessel reluctantly accepts the barge figures in order to save time, time charterers may later allege that the vessel consumed more fuel than provided for in the charter party and hold the shipowner responsible for the difference once the bunker figures are reconciled at the end of the charter. 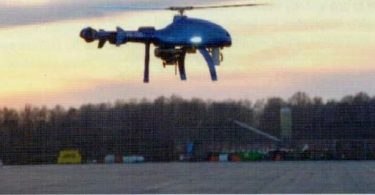 EMSA: How Drones will Monitor Ship Emissions? I never learn this in maritime school. Thanks MG for uptodate articles on latest ideas and knowledge. While taking ullage, i’ll refer this to my pumpi..